I have never owned an electric toothbrush before. It's such a grown up thing to own, and something I've never really thought to spend my money on before - I mean, a toothbrush is a toothbrush, right? Right?! Wrong! 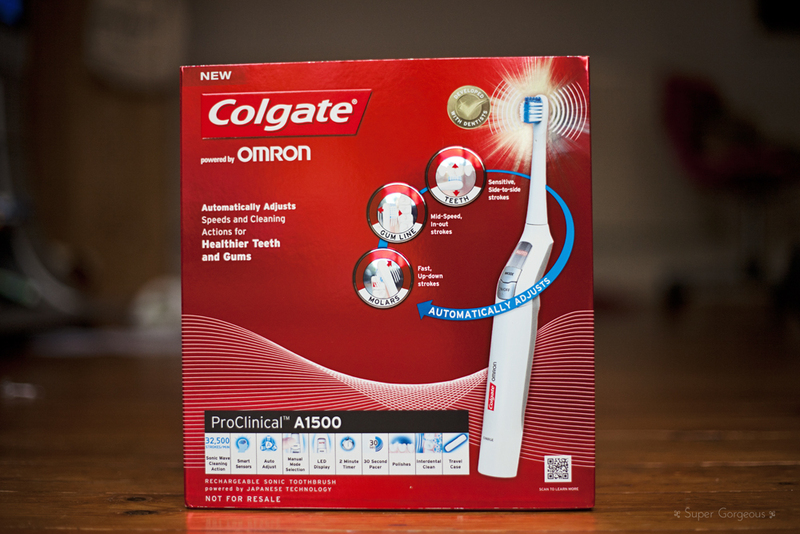 In the short time that I have been using the A1500 my teeth feel so much cleaner and more healthy! 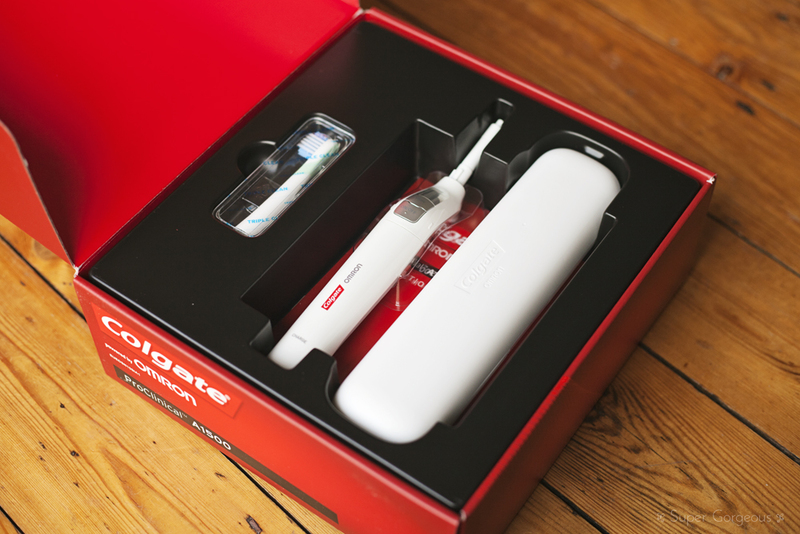 Although I had never thought to spend my money on an electric toothbrush before, I do have a few teeth which are bordering on needing to be filled - with good teeth cleaning that this provides, I think I will end up saving myself the money I would have spent on those 3 fillings, which is less than the one off cost of the toothbrush! The Colgate ProClinical A1500 is the first electric toothbrush in the UK that automatically adjusts while you are using it - it has sensors which change the speed and direction of the brush depending on which teeth the brush is on and the angle you are holding the brush. It works at mid-speed, with massaging strokes on the gum line, slow side to side strokes for the surfaces of your teeth and fast up and down strokes for your molars. It has a sonic wave cleaning action that delivers up to 32,500 strokes per minute - which is fast! So fast that at first it felt very tickly in my mouth which took a couple of weeks for me to get used to! The toothbrush itself is very lightweight and slimline and very easy to use. There are finger indentation marks on one side of it which help you to position the brush to get the 45 degree angle that the Auto-mode recognises to change speeds. As well as Auto-mode, there is Deep Clean, and Optimum which work at one set speed. The LED display tells you which mode you have the toothbrush set to. 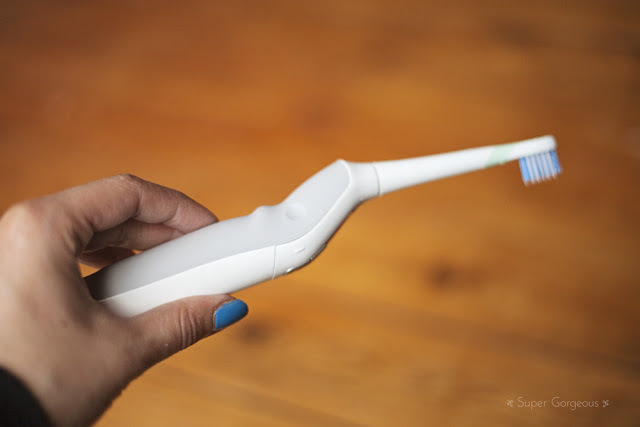 There is an internal timer which alerts you after every 30 seconds to move to another section of your mouth, and automatically switches itself off after 2 minutes of cleaning. It comes with a replaceable brush head called 'Triple Clean' which cleans in three ways, and you can also get 'Sensitive' heads which gives a more gentle deep clean. 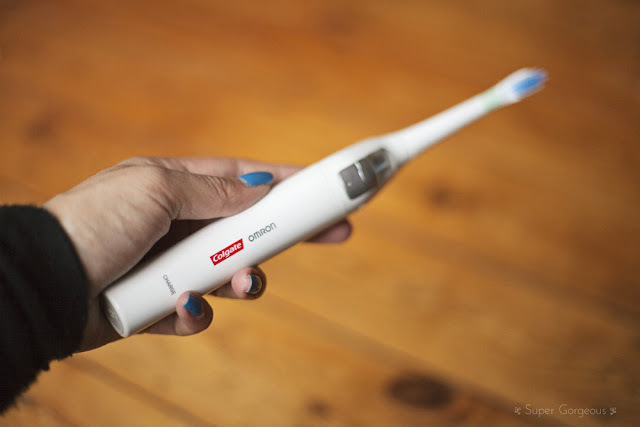 The charger has two little posts on it that you can put other heads on, so the whole family could use the toothbrush - it's just a case of clicking the brush head onto the handle. 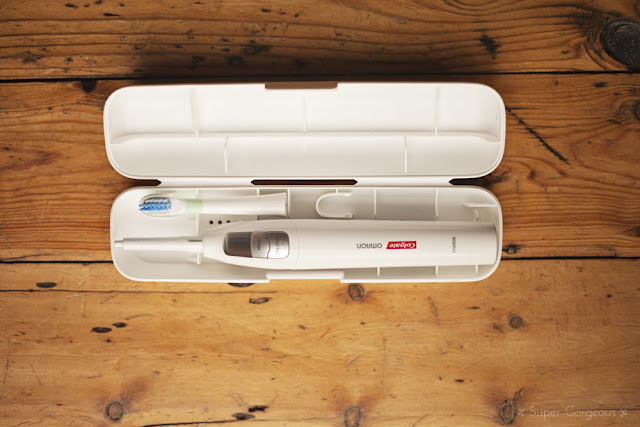 It also comes with a sleek white travel case with space for the main part of the brush and two brush heads, making it very easy to take it with you when you're staying away from home. It just needs an overnight charge once a week, so if you're going away for a weekend that's all you'd need to take with you. 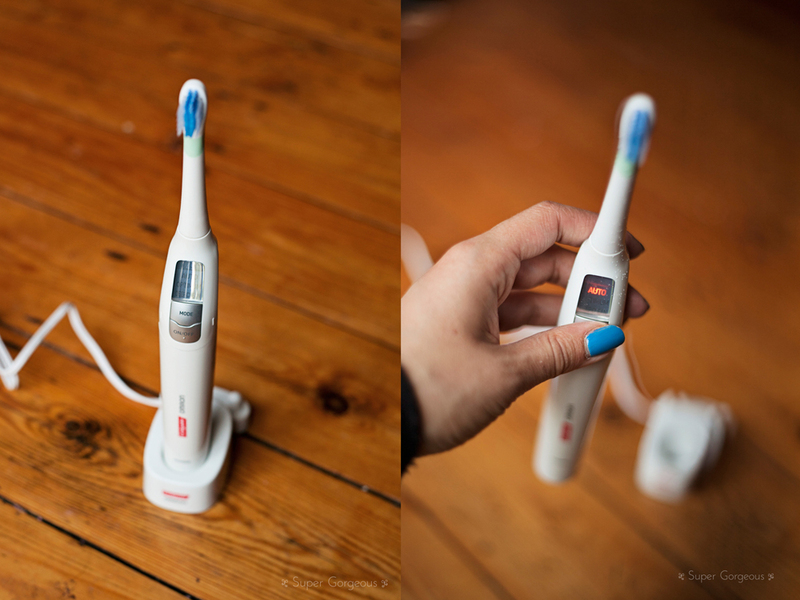 I am so pleased with the A1500, it's definitely changed my perception of electric toothbrushes and I love the feeling of knowing that my teeth are lovely and sparkly and clean! 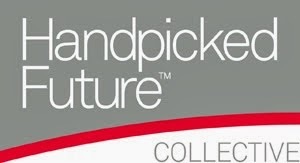 The Colgate ProClinial Toothbrushes are available at www.colgateproclinical.co.uk and most Boots stores. Oral-B's selection of products that are gentle on your teeth and gums. ... for sensitive teeth and gums. Oral-B Sensitive Replacement electric toothbrush review Head ... in Glide comfort. Oral-B® Glide Pro-Health For Sensitive Gums Floss. Good day! I could have sworn I’ve visited this web site before Download from here but after browsing through many of the posts I realized it’s new to me. Regardless, I’m definitely happy I discovered it and I’ll be bookmarking it and checking back often! elektrische Pfeffermühlen oder auch electric Peppermills. This is one awesome blog.Really thank you! Cool.